I feel a great affinity for people who have special collections,* having had one myself, though I have since sadly had to disassemble most of my Cabinet. 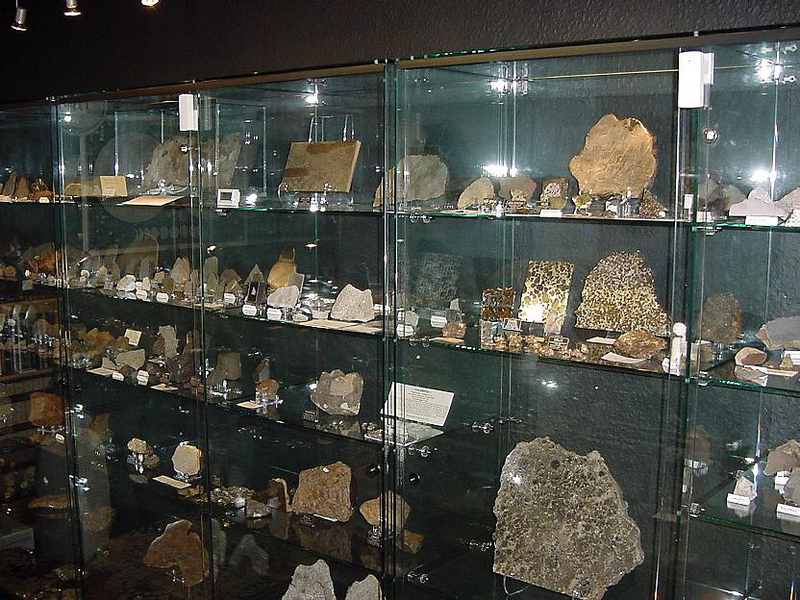 The image above shows the spectacular collection of meteorites that Robert Elliott has amassed since 1996. Many of them he found himself with the use of a metal detector, including the Hambleton meteorite, a 38.8lb (17.6 kg) rusty metallic rock he identified on a walk with his wife in North Yorkshire, U.K., in 2005. Considered his greatest discovery, the Hambleton meteorite is a pallasite, a rare type described as "fruitcake," because it is run through with semi-precious gemstones, in this case peridot crystals (IMAGE HERE). Elliott has parted with pieces of his collection by selling them to celebrities and other collectors and by trading them to Britain's Natural History museum. 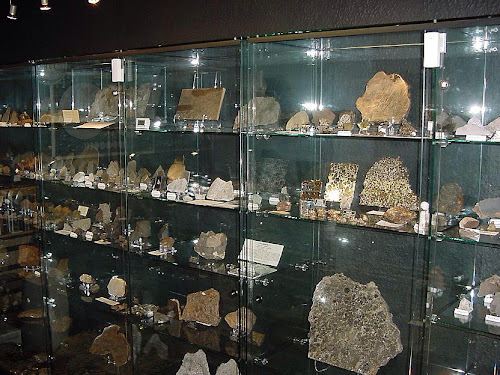 He has sold dozens of his specimens, including pieces of the Hamilton meteorite, at auctions in 2009 and 2011. A third auction is being held in Edinburgh today and a 6.4lb (2.9kg) slice of the Hambleton rock is expected to fetch £7,000-10,000. But Elliot is not in it for the money. "Catch a falling star — that's what I do. There's a bit of romance there. These things are falling stars. They are so old — they saw the planets forming, they have seen comets and they have suffered extremes of temperature." *Thanks to Wendy Muir for this link!